Welcome to the Food Not Lawns website! 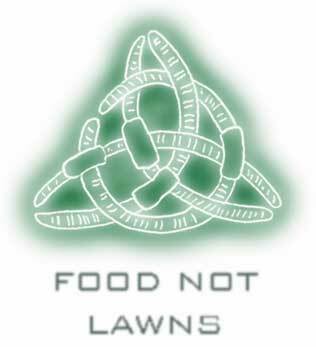 Food Not Lawns is a non-profit, avant-gardening collective based in Whiteaker, Eugene's lowest-income neighborhood. Currently, our efforts focus on rebirthing highly-localized food and medicine cultures; and the preservation and propagation of rare plants - and having fun! 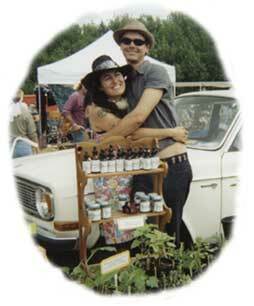 In the past two and a half years we have facilitated dozens of workshops (including free permaculture certification training for local residents) and distributed thousands of pamphlets, manuals and publications on seed-saving, deep ecology, sustainable horticulture, alternative energy, community organizing, genetic engineering, and food integrity, etc. We have also written extensiively around our experiences. Our effort is bootstrapped, running almost entirely on volunteer labor and donations; with money for supplies coming from grants and plant sales. We're dirt poor, in other words but, in the truest sense, wealthy beyond compare. Our approach evolves constantly, but might be summarized as a permaculture-biodynamics communion rooted in the realpolitik of urban poverty. What does that mean? Heck, we're not too sure either, but it seems to work. See our resources and links list for pointers. Although our network of contacts is growing fast, for the most part we remain a little-known phenomenon - it's the nature of the work or, as the Lord of the Rings' Sam Gamgee, puts it: "The one small garden of a free gardener was all his need and due, not a garden swollen to a realm." 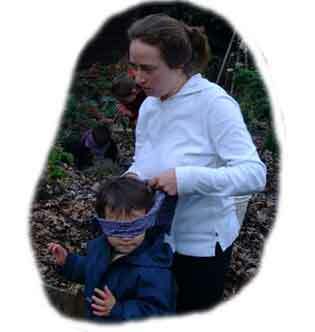 We are also looking to share our experience. 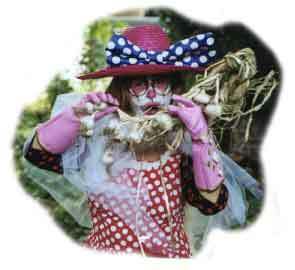 Just now, we're soliciting support for a local event that mobilizes community skills and talent (a circus-seedswap!?!! ), followed by a series of workshops to create a community vision and stewardship plan for Scobert Park, the public space at the heart of our 'hood. All this, part of our continuing efforts in support of the Free Cascadia Visionary School of the World. Several local periodicals have recently published articles advocating our efforts, including the Eugene Weekly and The Oregon Daily Emerald. 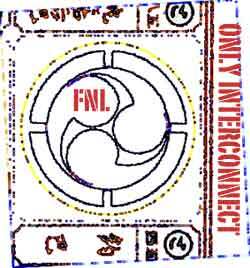 And, of late, our rep has picked up markedly among the visionary ag community - the October 2001 issue of Oregon's In Good Tilth, contains articles commisioned from three members of the collective. 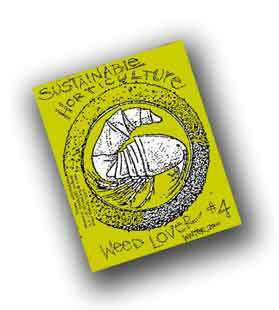 We also produce our own homegrown zine, "The Weed Lover," a synthesis of insights into the practice and theory of Paradise Gardening. To check it out, and for information on how to pick up current and past issues, see our online scan of Issue Five, devoted to drought and water. We also distribute seed and literature. To contact us, email foodnotlawns@yahoo.com (checked monthly). 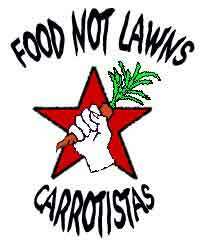 Or write to us at: Food Not Lawns, 165 N. Grand, Eugene, OR 97402. And remember, no matter how experienced or famous the voice, always check the advice against your own experience. You know it all. Confuzed? Here's a site map.